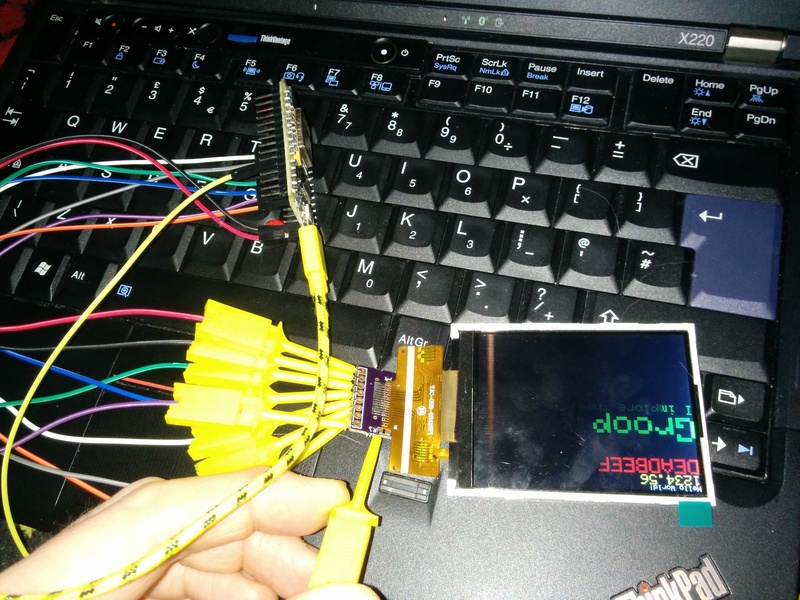 I know SPI screens get a bad write up, they are not as fast, they suffer with 'tearing' and they use up your gpio pins, but they have lots of benefits too! 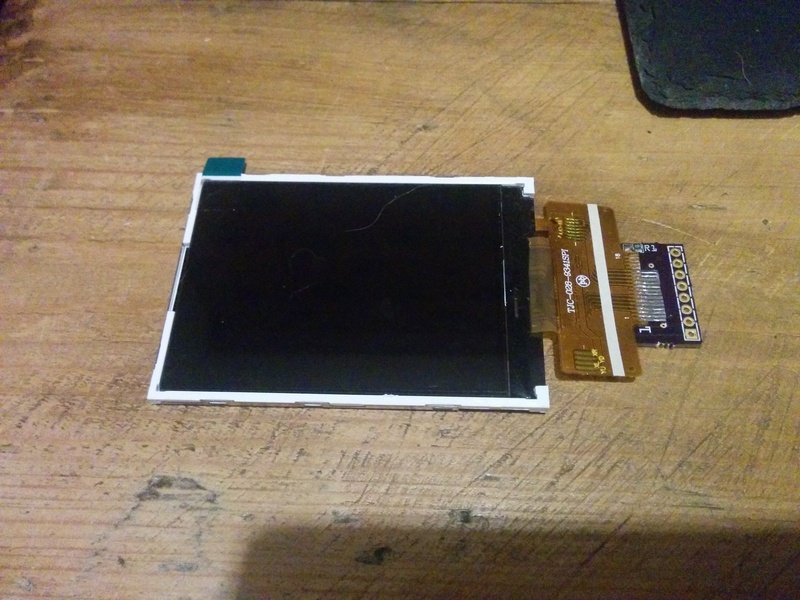 You can get a screen that is ready to roll with no modifying for somewhere in the region of $6, they come in a range of sizes (2.2",2.4",2.8") and you can chop away excess PCB and get it rather small. They have a few more wires, and some slight software tweaks are needed to get them to work. So first off, lets get the wires connected. 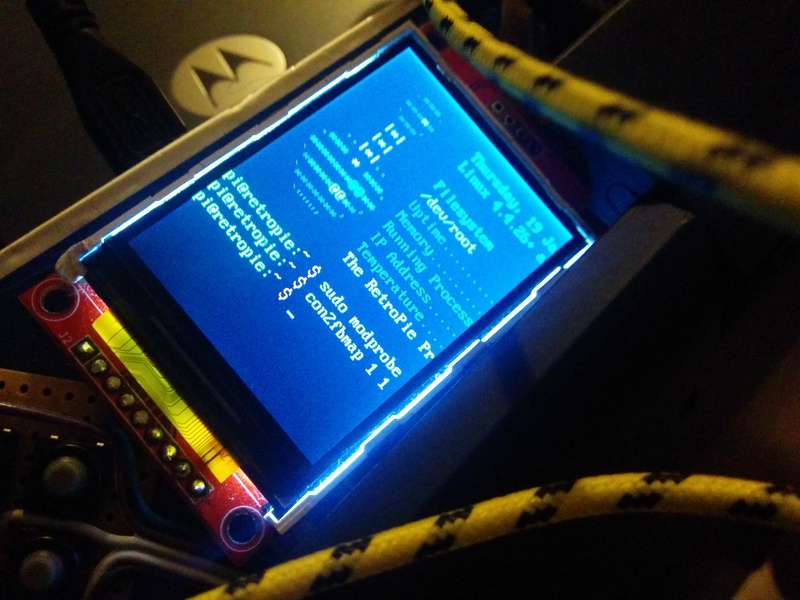 the backlight should kick in on your tft screen. This is a good sign!! 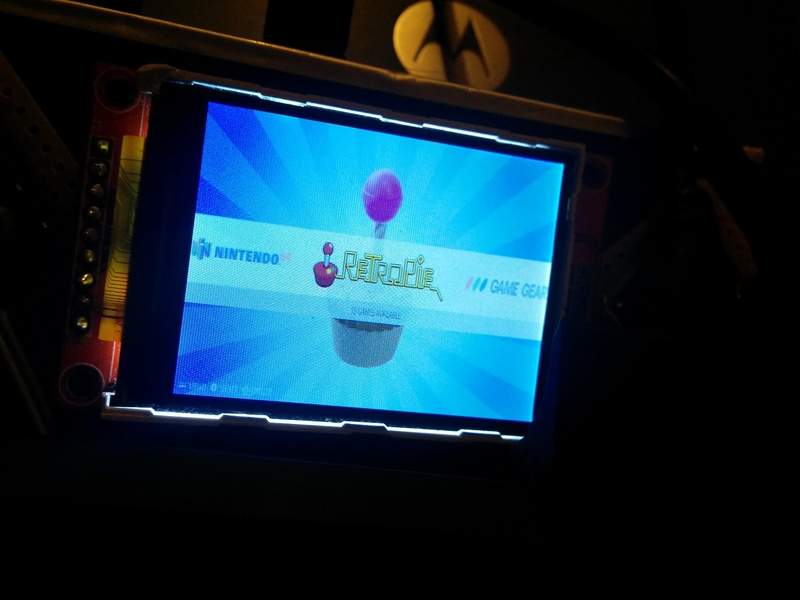 your console should now be on your tft screen!! to get the console back onto your normal screen. Go make your self a drink, you are halfway there!! OK, so we have proven the screen works, we need to make things more interesting. Firstly, you might have noticed that if you were to restart the pi, you will need to type your modprobe line in again to restart the screen. now this is no fun for a tiny handheld, so lets make the screen work every time. this will fire up the text editor nano, with the modules file, so we can add in the bits we need. Add in the following 2 lines, below what is already there. now try restarting the pi (I normally type sudo init 6) and let the pi restart. Fingers crossed your screen will light during the reboot process. If not, check your files for typo's, and check dmesg for any errors. and if all has gone well, the contents of your normal screen will appear on your ili9341 screen!!! hurrah!! i think its time to grab yourself a beer!!! there may be some comments up above, but these are just there for information. If you restart the pi now, you will see the screen initialise, and then it should show the splash screen after a few seconds. before you know it, you will have your pi up and rolling on the tft screen!! Top job!!! Last edited by moosepr on Sun Jan 29, 2017 1:37 pm, edited 1 time in total. Nice guide, but some of your images are not showing. Mischief wrote: Nice guide, but some of your images are not showing. Looking to put one of these(the 2.8" version) to use in a GBA build. Do you know where exactly I can chop the PCB to cut down the size of it? Maybe a picture with some black lines to get an idea? kamon wrote: Thanks for the info! 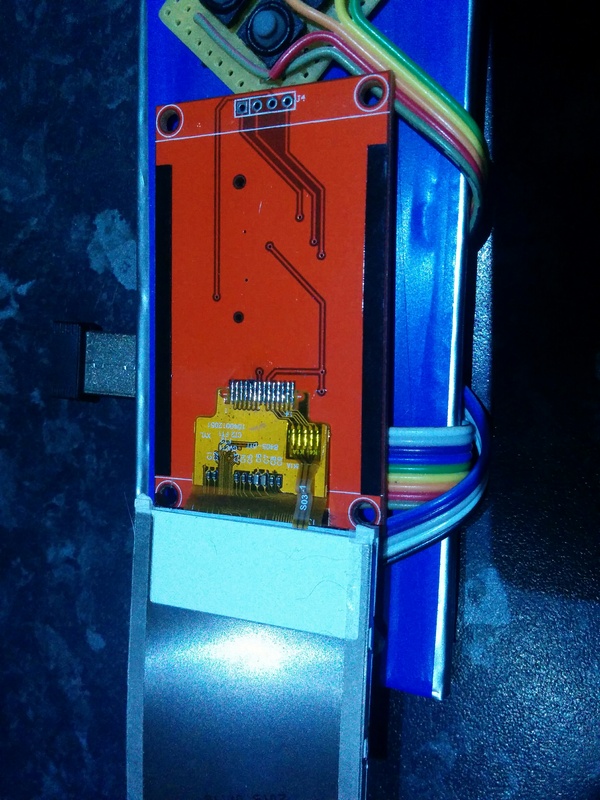 The screen is now covering the pins (there is no getting away from those I'm afraid) but pretty much anything to the right of the ribbon cable should be able to be scrapped. You might need to check the other side of the board, the only one I have is stuck down. Nice! I was looking into testing some of these screens, so in the initial start of the guide you have the Pi connected to an HDMI monitor? Helder wrote: Nice! I was looking into testing some of these screens, so in the initial start of the guide you have the Pi connected to an HDMI monitor? Yeah I started with an Motorola atrix lapdock (screen and keyboard in a laptop form factor with USB and HDMI) you can in theory use it as a second screen displaying box art or system status. I just have a resistor for backlight brightness control to keep things really simple, but it works! Nice! I was looking into finding the simplest screen with the least amount of pins on the ribbon. I don't want to bother with 40 or 50 pins when only a handful are used. Do you have any recommendations? also do you need anything else to make these screens work? I'm trying to find schematics of those boards that come with the screens but there seem to be many variants of the same thing. Do you use a voltage regulator for the screen and backlight? Helder wrote: Do you have any recommendations? also do you need anything else to make these screens work? I'm trying to find schematics of those boards that come with the screens but there seem to be many variants of the same thing. Do you use a voltage regulator for the screen and backlight? These are the only ones I have tried, all the others seem to have lots of pins. The screen seems to run well on 3.3v, so I'm just powering it from the Pi's 3.3v pin with no issues. Just added a resistor for the backlight, but it does work straight to 3.3v too! Thank you!!! Ordered one to play with . Looks like everything would work. @Helder, would you ever be interested in turning his Eagle files into a more robust one that at least has X/Y buttons, and preferably with some of the features your AIO has? Maybe even for commission ?